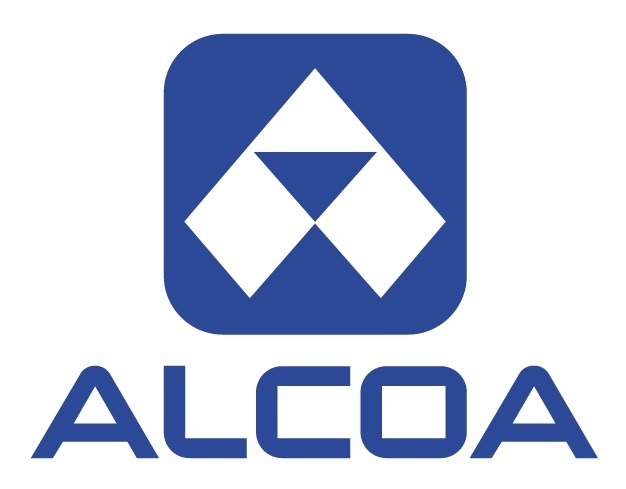 "Alcoa’s Ultra ONE wheel offers heavy-duty performance without the heavy weight of steel wheels, and it looks great, too"
NEW YORK & HANNOVER, Germany--(BUSINESS WIRE)--Alcoa (NYSE: AA), the inventor and global leader of forged aluminum wheels, said that it will roll out its lightest heavy-duty truck wheel in Europe to help fleets increase payload and fuel efficiency. Announced at the 65th International Motor Show (IAA) Commercial Vehicles tradeshow in Hannover, Germany, Alcoa is now selecting fleet partners for the European launch of its lightest forged aluminum wheel ever, the Ultra ONE™ with MagnaForce™ alloy. The wheel will be available in Europe during the second half of 2015. 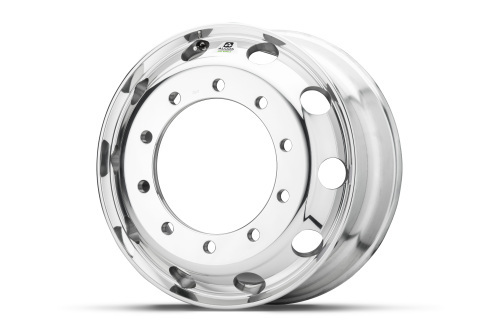 Fleets worldwide are turning to lighter weight aluminum wheels versus steel wheels to help increase payload, improve fuel efficiency and meet emissions regulations. Alcoa has seen significant adoption of the Ultra ONE wheel in other major markets, including the United States, where some of the largest fleets have upgraded to the Ultra ONE since the March 2014 launch. The wheel has been approved by all major US truck and trailer manufacturers, and is in most manufacturer data books making it available for order by fleets. “Weight-sensitive fleets such as petroleum and bulk haulers have been especially quick to embrace the Ultra ONE technology in other markets, and we expect the same in Europe,” said Myers. Alcoa’s wheels are made from one piece of forged aluminum, making them lighter and five times stronger than steel wheels, increasing payload and fuel efficiency. In addition, Alcoa’s Ultra ONE wheels in Europe will come with Alcoa’s Dura-Bright® EVO surface treatment, which allows brilliant shine to last even after years of use, without the need for polishing. Regular cleaning with commonly used truck cleaning products or with just soap and water will keep the wheels shiny, even after hundreds of washes and thousands of kilometers, reducing maintenance costs. The Ultra ONE Wheel is made with the strongest wheel alloy on the market, Alcoa’s MagnaForce™ alloy. 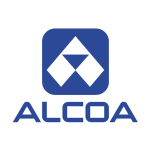 The MagnaForce alloy was invented by Alcoa’s experts at the Alcoa Technical Center– the world’s largest light metals research center – located outside Pittsburgh, Pennsylvania. The alloy is on average 17 percent stronger than the industry standard, Alcoa’s 6061 alloy, in similar applications. 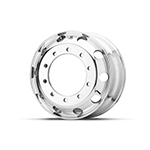 Alcoa will manufacture the European Ultra ONE wheel at an Alcoa facility in Europe. Editor’s Note: Caption for accompanying photo: Alcoa, the inventor and global leader of forged aluminum wheels (shown here), announced that it will roll out its lightest heavy-duty truck wheel in Europe to help fleets increase payload and fuel efficiency. Alcoa Wheel and Transportation Products, headquartered in Cleveland, Ohio, serves the commercial vehicle, automotive, and defense markets with products used in a range of applications including forged aluminum wheels, premium products such as Dura-Bright®, Dura-Flange®, LvL ONE®, Ultra ONE® and M-Series® medium truck wheels, as well as a variety of other aluminum components for these markets. Follow @AlcoaWheels on Twitter at twitter.com/AlcoaWheels.